I may not be a great blogger, but I am a great girlfriend. 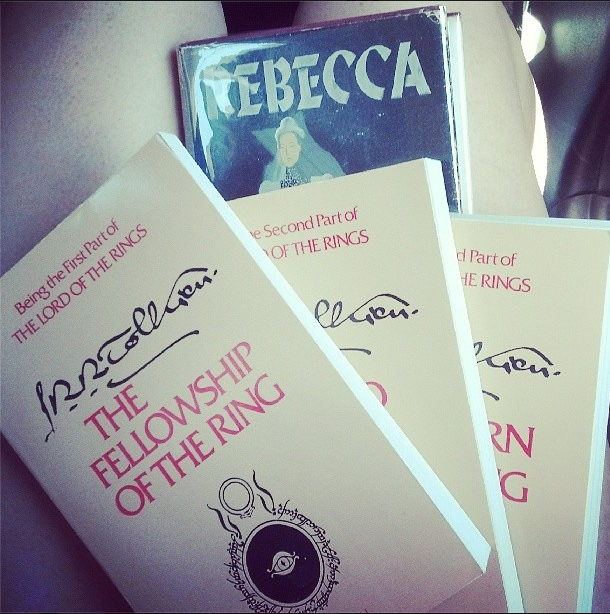 My significant other is a huge Tolkien fan (like another this blog is familiar with). Anyway, because I am such a great girlfriend I agreed to read The Silmarillion with my boyfriend. Yes, me. Who has read no other Tolkien than The Hobbit. Needless to say, this was a bit over my head. The Silmarillion (Within this book there are 6 short stories.) is a “brief” history of Tolkien’s universe where his other novels take place. This universe is called Eä. This book describes the beginning of time. I mean, when Eä was just DUST it was so beginning of time. The first book tells the story of Eru (also known as Illúvatar) creating the world. Y’all, I am being for real when I say this book is for DIE HARD TOLKEIN FANS. If you have never wondered “Who created the Elvish within the land of Middle-Earth?” then do not read this book. The beginning was so tough for me to get through, mainly because these characters have so many names: an “english” name, an Elvish name, another name, plus 3 more names. I had to keep reminding myself that Melkor, Morgoth, Arun, Bauglir, and Belegurth are all THE SAME CHARACTER!! And those aren’t even all his names!!!!!!!!!!! Anyway, I say this not to discount the book. 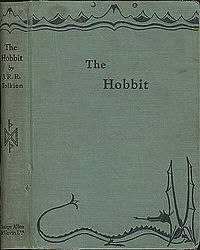 It was published posthumously, created from Tolkien’s notes. This man’s brain must have been the size of a watermelon to hold all of this fantasy world and perfectly intertwine all the stories. Once I got past the “Genesis” (if you will) creation stories and into the battles that shaped Middle-Earth, it was tolerable. Learning how the beautiful jewels, The Silmarils, were created, lost, and rescued was a great story; just remember, if you are in Middle-Earth NEVER swear to an oath or you WILL die trying to uphold it. My favorite story had to be Of the Rings of Power and the Third Age. It tells the tale of Sauron, who is known to any movie viewer as a fiery eyeball at the top of a tall tower. The story goes on to explain how the one ring was made and why it is so powerful. I say all of this not for your praise or recognition of possibly deserving the Greatest Girlfriend Ever Award, but instead to present you with this Read and Drink. 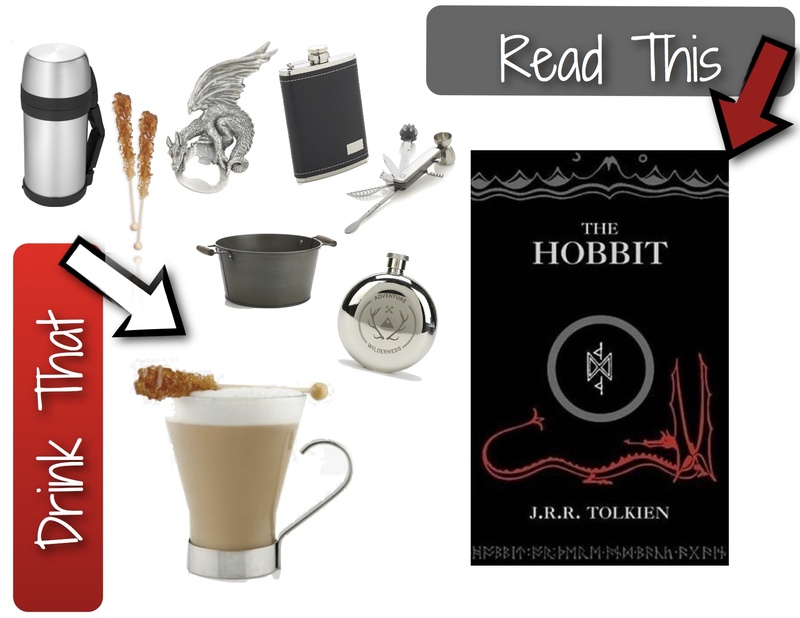 The book is so heavy, please, for the love of Illúvatar, have a light and refreshing cocktail to enjoy whilst reading. This may be the first R&D that has no relation to the actual story. That’s because this story made no mention of alcohol. So I got creative(ish). Cheers! Squeeze lime juice into glass. Add large ice cubes, then pour vodka. Add cold beer. Stir. Next up, we are reading A Christmas Carol. Since this is a super short story I hope to be sharing a Christmas themed cocktail with you soon! What’s the opposite of Bah-Humbug?! I have a problem that I don’t really consider to be a problem: I’m willing to spend way more money on a more attractive copy of a book that I intend to buy. Aesthetics are a big deal to me, especially when it come to my books. 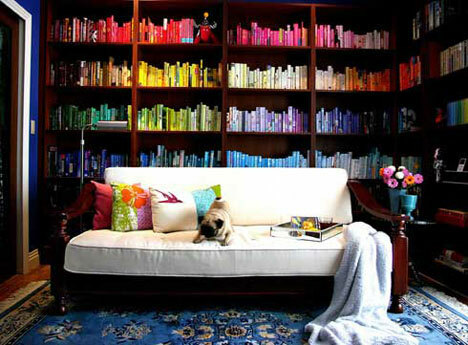 I love the idea of color-coding one’s bookcase; especially in those luxurious pictures online of a whole wall of sectional bookcases, with each section revealing the many spinal hues of each color. I, however, would never do this. In theory, it’s a great idea, but I like to keep “families” together and all too often, books in a series don’t maintain a constant color scheme. I refuse to separate my Harry Potter books just based on color. They must stick together, and thus the color-coding notion is discarded. I am quite meticulous about book height, though. I have my bookcase organized based on height and in continual descending order. Again, books in a “family” must all be the same height. This may be particular to me and my preferences (I’ve seen some very haphazard bookshelf sorting that make me cringe), but it also may not. The main drive behind reading and buying books is preference; just browsing through a book store doesn’t tell you anything about the plot twists or character struggles. Sometimes, it’s all about what catches your eye, and for books, this makes looks very important. We’re a very visual society; television, cinema, video games, etc. have increased in popularity with the increase in technology and visual capabilities. If a book wants to get noticed, if it doesn’t already have the cult following of many classics (which pretty much ensures continual reading among future generations), or if a book wants to set itself apart from all the other things you don’t want to read on just that shelf at the bookstore, it will HAVE to employ some sort of eye-catching cover art, interesting title, or elaborate spine decoration which makes it the one you pick. A book needs to catch your eye for survival purposes! Maybe it’s a library book and it has to remain popular or it will get the boot; maybe you bought it, read it, and are now letting it live on as decoration in your home. It has to look good to survive. I have a huge stack of books that weren’t attractive enough to take up much-needed space on my shelf. They cry about it everyday, but it’s their own fault for not being better looking. I remember when Hannah begged me to read the A Song of Ice and Fire series for months before I actually picked it up. I thought the cover was boring, that was my whole reasoning. Not only do books have to compete with technology these days, but they often have to employ the advancements in the visual arts for cover art the will capture my eye. I was generally offended that G.R.R.M’s publishers didn’t try harder. “Um, let’s just make each volume a solid color with some vague symbol on the front, okay?” No, not okay. I’m sure I’m not the first to look at that cover, think “well that looks boring” and pass it up for something far less entertaining and worth my while. Publishers need not be so lazy! In the spirit of this topic, I postponed purchasing my own copies of Tolkien’s The Lord of the Rings series until I found just the right set. I wanted them to be old, preferably hard cover volumes, used but with no notes or blemishes, and all of the same “family.” Well lucky me, I found them this past weekend at a used bookstore in Nashville, TN. They don’t have the hard covers, but they have been loved by someone before me, have unique, eye-catching covers and all belong to the same family (and they have that amzing smell that buying new versions just can’t provide). On a sidenote, I also got a hard cover used copy of Rebecca so I’m also stoked about that! Patience and superficial preferences pay off and I found some really great treasures! I know I’m not the only one! Does anyone else have preferences in regards to your books? I’d love to hear from you! Back in college (I’m feeling exceptionally old after saying that), I studied Homer’s The Iliad epic for a critical analysis paper. I hardly remember anything about it, except that it had to do with lineage and influence, and because I am a visual learner, I took it upon myself to draw out a family tree with as many characters, details, and connections as I could fit. I found this method to be tremendously helpful in terms of reigning in a work with a ridiculous number of humans and gods, all of whom have aliases, relations, allegiances, and special powers or influences. 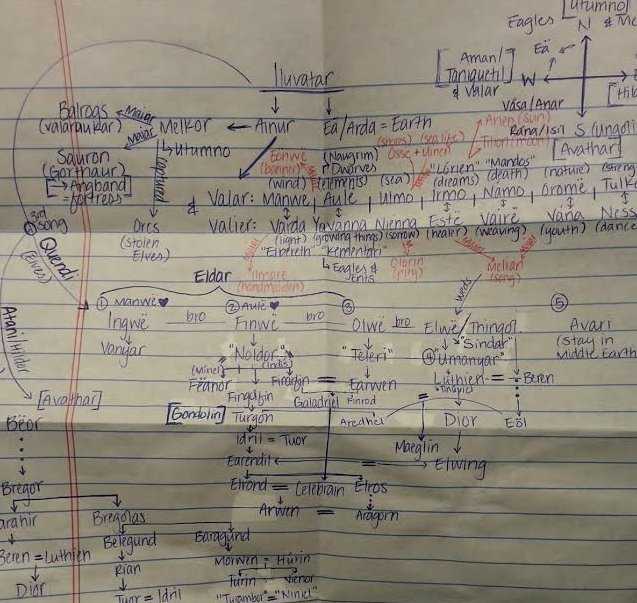 I knew that Tolkien’s The Silmarillion was going to have the same ability to overwhelm readers by the sheer number of characters, so I turned to my trusty friend, the family tree. The book came with three or four family trees already laid out for me in the back of the book, and although that was often useful, I wanted to avoid saying “okay, now who is that?” and holding my place while I flip to the back of the book to see how Tuor fits into the story. My tree stayed right next to me while it grew and spread and branched into what, I must say, is a really bangin’ family tree. So, clearly, The Silmarillion requires a bit more “reader assistance” than your average book. My version had a map, three family trees, and an appendix listing all the characters and places, just in case there were a couple hundred pages in between mentions of Eonwe and you may have forgotten who he was. Having said that, though, I thought this book was great! The Silmarillion is meant to preface his other Middle-Earth-related works and tells the story of the creation of the Elves, the creation of Middle-Earth (Arda), the banishment of most Elf races to Arda and the fight of Elves, Men, and Dwarves against Morgoth (Sauron’s predecessor) and the many evils of Arda. Tolkien has been credited with a tendency to seem long-winded and overly descriptive; while I think this is cockamamie, I can agree that he takes explanation and description very seriously. When describing Iluvatar’s (the “God” of Tolkien’s story) creation of Arda, he explains which of the Valar (Elf gods) controlled each earthly contribution, such as wind, water, elements, the moon, etc. It remains similar to The Iliad in that the Valar show preferences for certain Elves, Men, and Dwarves, and they often intervene in the many conflicts of Arda. You find yourself pulling for certain characters and I, personally, love knowing the stories that so heavily influence The Hobbit and The Lord of the Rings trilogy. Although I’m very fond of this book, I can’t say that I suggest it to just anyone. I can see that, based on reader preferences, it could seem like overkill or hard to follow; however, it is exactly my favorite type of book and I would suggest it to anyone who loved The Iliad or anything mythology-related. On another note, I don’t know about you, but I am just flat-out tired of that book challenge. It was interesting at first, but the questions for the second half of the challenge are boring. Feel free to review the other questions and ask me if you truly want to know, or you can let us know any of your own answers, as we’re always glad to hear from our readers. Hannah recently gave our profile a makeover, so check out the Book Reviews tab and our new and improved Reading Lists. We’re starting with The Talented Mr. Ripley by Patricia Highsmith once my copy comes in at the library. Yay, libraries! Anyway, we will keep you all posted on our progress and we’d love for any of you to follow along or just comment. Have a great weekend! I know you all have been dying of thirst; in honor of Lindsay’s recent literary tattoo, here’s the latest edition of Read This, Drink That. As the Middle Earth-traveling group would have needed a drink to keep them warm on the inevitable autumn nights, I have selected a fiery hot toddy latte. Prepare espresso in stove top espresso maker. Bring 3 parts milk in a small saucepan or Turkish coffee pot to a light simmer. Mix espresso and milk in coffee mug. Add Maker’s 46™. Make the vanilla vodka foam: Add vanilla vodka and 1 part milk to small shaker with ice. Shake vigorously until frothy. Pour foam over espresso milk mixture. Add swizzle stick and pinch of nutmeg. Stir and enjoy. Alright, I decided not to dive right into second volume of Rothfuss’s The Kingkiller Chronicle series. This is due mostly in part to the fact that I didn’t care enough to continue the story. Oh well. Guess I’ll never know what happened. Guess that I’ll also never actually care. So, instead, I’ve decided to reread The Silmarillion by Tolkien. I read it years ago and I’ve already forgotten everything about it. Kids, ya know?! They’ve got no respect, no respect at all! So I’m rereading it. I’m 50 or so pages into it already, and I LOVE IT. It reminds me a lot of all the Greek and Roman mythology I studied in college. I keep a notepad handy while I’m reading so I can draw out the family trees, individual powers, and connections for the numerous characters. I love reading this because of these fascinating details, but also because I’m learning the history of so many of my favorite Tolkien characters. I’m excited to be reading something I love. I’ll keep everyone posted as progress continues. Now, I can finally make my way back to the book challenge I suggested forever ago. I’ll do a few of them in a row in order to satiate all you readers. Day 11: A book that you hated – Easy. Atonement by Ian McEwan. I don’t even want to talk about it. Read my review, if you must. Just don’t make me remember my hatred for this book. Day 12: A book you love but hate at the same time – I don’t know about this one. I guess I would have to say A Feast for Crows by George R. R. Martin. I adore this series. Reading this particular volume, however, was painful. Nothing happens! There are so many twists and turns in this series, but it seems like none of them happen in book three. It’s one of those books that spends 400+ pages prepping readers for something super crazy. And let me tell you, book 4, A Dance with Dragons has about a million plot twists. I feel nothing but love for the other 4 volumes of this series, but A Feast (…) was agony. I knew the goodness was coming, but it took a whole volume before it finally came. I loved it and I hated it. Day 13: Your favorite writer – Oh, this is a hard one. I don’t really know who… JUST KIDDING. Tolkien. Easy-peasy. I’ve encountered a lot of writers who have one fan-freaking-tastic novel or series, but they encounter trouble for their other works. They often are somewhat of a one trick pony and wear out their writing style or theme while showing little to no ability to come up with something different. Other times their successful work(s) throw them into a niche that they can’t escape. Some of my favorite authors fall into these categories. Tolkien, however, has written so many different types of works that he seems to avoid these traps. He wrote things like The Hobbit and “Roverandom” to appeal to adults and kids alike, while The Silmarillion is more “historical fiction” and The Lord of the Rings series is more action & drama-filled fiction. He’s versatile (enough) while still being successful. Love him. Hannah’s turn! See you guys soon!